The Living Salt Mouse is a breed of mouse found in the Iceberg. They are known to drop Hunting Research, Satchel of Gold, Sticky Charms, and Wax Charms as loot. Living Salt mice have no specific preference for any kind of cheese. The Living Salt Mouse is uncommon in the first four areas of the Iceberg (Treacherous Tunnels, Brutal Bulwark, Bombing Run, and the Mad Depths) before 425 hunts, but is abundant in the Hidden Depths, or throughout the Iceberg (before Icewing's Lair) after 425 hunts are exhausted. The Living Salt Mouse drops the Living Salt Egg during the annual Spring Egg Hunt. 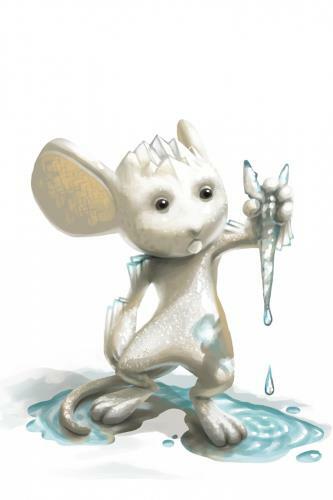 The Living Salt Mouse was released on 1 June 2012. These mice will only appear after all the chests have been smashed and the Iceberg has reached Gnawnia's shores. This page was last edited on 22 May 2017, at 17:18.